Divorced after discovering her husband’s affairs had been going on for years, Maggie Oliver returns to Shade Tree, Texas, hoping the peaceful Hill Country ranch life will restore her self-esteem and help tame her rebellious fifteen-year-old daughter. When a fire destroys her home and ex-rodeo star Sam Banner, now a local police officer, races back into her life, she vows to steer clear of Sam’s brand of trouble. 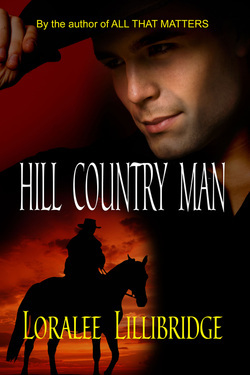 The seductive Texas charm of her ex’s best man has always been a threat to her heart . . . a heart that could be broken again by the secret he’s kept for years. How can Maggie trust herself to make the right choice this time? Sometimes, all it takes is a leap of faith and the love of a HILL COUNTRY MAN.